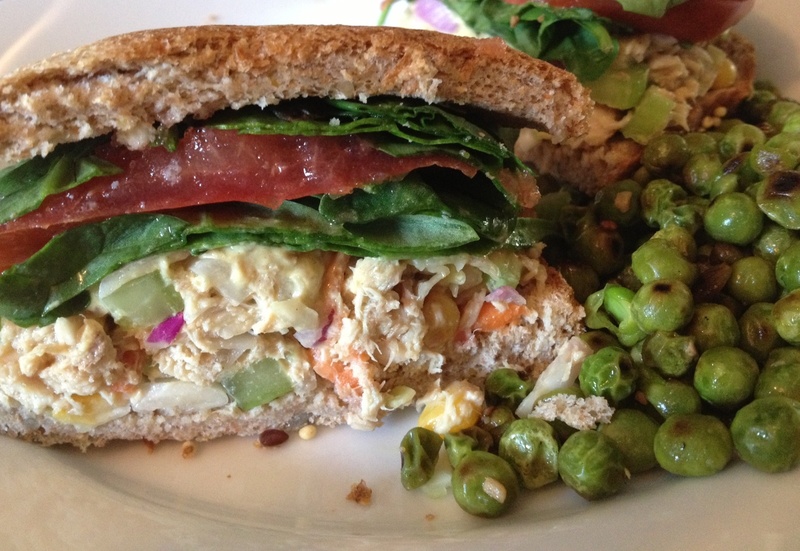 With all that leftover Honey Balsamic Slaw from the other night, I decided to spice up my normal tuna sandwich today. 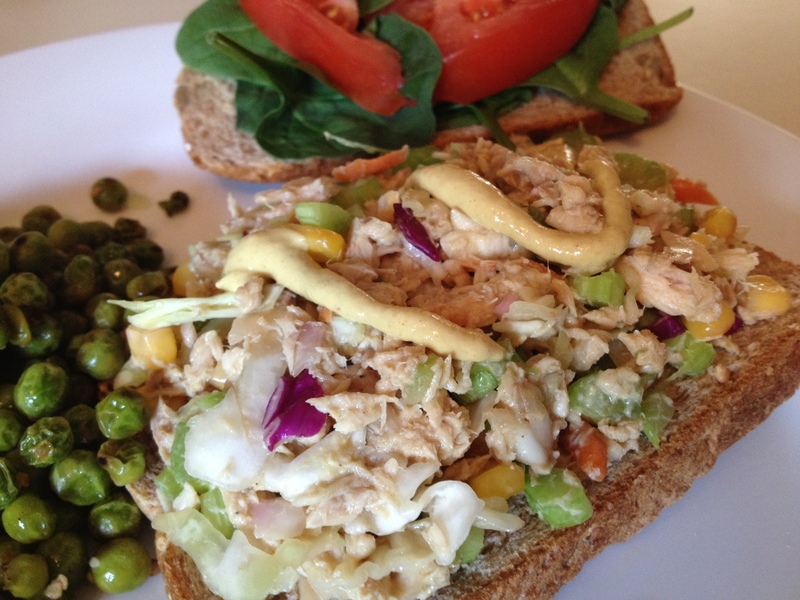 I mixed together canned albacore tuna, coleslaw, a bit more dijon mustard, and some chopped celery, and spread it over two slices of toasted whole grain bread. Topped that with some fresh baby spinach, tomato slices, a bit of red onion, and some freshly cracked pepper for a yummy, protein-packed lunch! I don’t think this one needs a recipe. Have fun with it!